As one of the world’s first computer scientists to undertake serious research into hypermedia, multimedia and the internet, Professor Dame Wendy Hall’s career fits neatly alongside the history and growth of the World Wide Web. 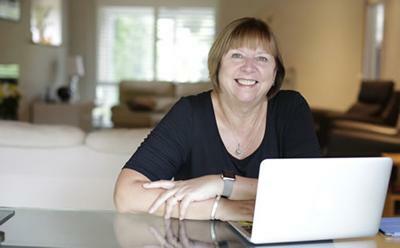 Now, she and her colleagues at the University are looking ahead to how the Web might function in the future as Dame Wendy and her colleagues establish web observatories around the world to help deliver the web we want for the future. When my good friend and colleague Professor Sir Tim Berners-Lee ‘gifted’ us the World Wide Web in 1989, few could predict that it would become the dominant and universal information system we all use today. At the time, only a few visionaries had it in mind that this new innovation would link all of the world’s computers and potentially all of the people on our planet. Thinking with hindsight, it was obvious. People love to communicate and the Web is now the perfect platform to support all the technologies that enable that communication, and so much more. The Web is now the world’s document management system; a globally interlinked information system with the capacity to store all of our knowledge and, potentially, answer all of our questions. It is changing the shape of nations and giving a voice to the silent majority. Even now – 25 years later - we really don’t know the full potential of the Web or what it means to our society. We know that it has changed all of our lives forever - the way we work, play and do business – but what is the Web for and how do we ensure that we ultimately develop the Web we want? One of our biggest initiatives that is gathering pace around the globe is the establishment of web observatories to help us gauge what the trends are, who is doing what with what, which applications are they using, what are they talking about and how is it evolving over time. It’s not a big brother surveillance activity but an observation of what the trends are order to “take the pulse of the Web” every day everywhere around the world. It seems like a huge project but if we don’t start somewhere we’ll never get anywhere. The thing about the Web is that by observing what’s happening you potentially change it – there’s a quantum effect, which we need to understand, but I have to admit - it’s the most exciting thing I’ve ever done in my career. By setting up ‘observatories’ we’re essentially building telescopes for the Web to collect and share data. Physicists use their telescopes to observe the stars to get a picture of what’s happening in the heavens. Climate scientists do this as well by gathering meteorological and other data about the environment to try and understand what effect we are having on the physical planet . That data is shared and published to give the collective picture of what’s happening and that’s what we want to do for the digital planet. We’re duty bound to try and determine where we are going with this technology which is why we’re developing the whole emerging area of Web Science to explore the big questions about society and the digital world. The first web observatories have been established in partnership with key universities around the world starting with openly available research data. We’re also working in conjunction with companies who hold countless datasets but may have security issues because of the nature of the information they hold. We want to share and link data across observatories so that researchers can reuse data and reuse tools built to analyse the data - perhaps even repeat previous experiments, which may have different outcomes because of cultural perspectives. To truly understand the Web we need to look backwards as much as forwards. When you look back over the last 25 years, if we had the data that had shown how companies like Google or Twitter have evolved, how social networks have grown and decayed, how the availability – or indeed unavailability – of the internet has influenced world events, we would be better able to begin to shape the web we want for the future. We want to look at trends so that we are able to advise, perhaps even prevent bad things from happening. For example, we’ve done work on the availability of legal highs, analysing conversations (without pinpointing or naming individuals) to see how people are talking about new drugs you can try and who is influencing who to go and try these new things. Just think of the data we can gather and how much good that could do in preventing people from going down this route. What we’re not trying to do is observe every change of technology or build a huge observatory for every piece of data. This is Web Science. We’re trying to understand how this thing called the Web has evolved and continues to evolve; how it shapes us and how we shape it. That’s our focus, all of the time.